The Supreme Council of Ukraine’s Autonomous Republic of Crimea has dismissed the regional government, electing a pro-Russian party leader as its new chair. 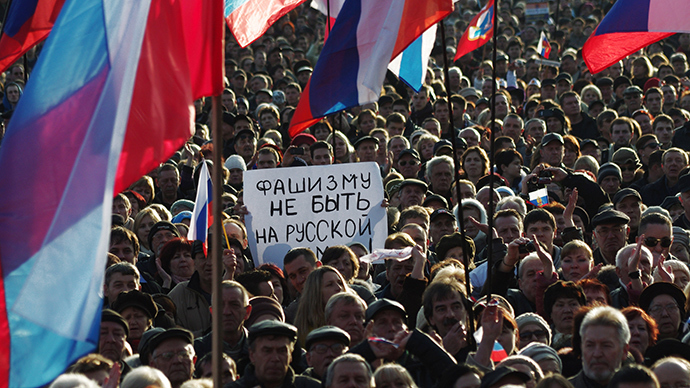 The MPs have also voted in favor of holding a referendum to decide the future of Crimea on May 25. Fifty-five out of 64 MPs voted for the government’s dissolution. The decision was announced by parliament official Olga Sulnikova. 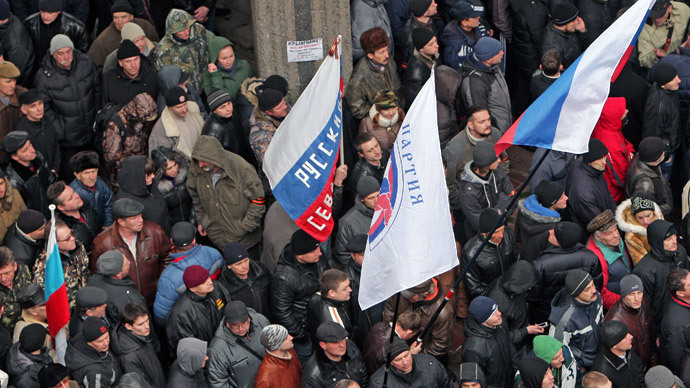 The decision to dismiss Crimea’s Council of Ministers was supported by 55 out of 64 Crimean MPs. The no-confidence motion came as a result of “unsatisfactory” work by the regional government in 2013, Interfax-Ukraine reported. The Chairman of the Council of Ministers, Anatoly Mogilyov, was also dismissed. The leader of Crimea’s Russian Unity party, Sergey Aksyonov, has been voted in as the new chairman, RIA Novosti reports. The pro-Russian politician was supported by a majority of 53 MPs of the Crimean parliament, with 64 MPs taking part in the vote out of 100. The new council of ministers is to be formed Friday. 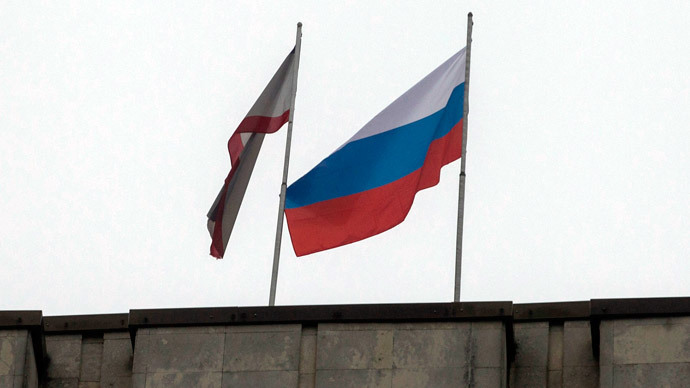 The regional parliament then voted in favor of holding an All-Crimean referendum on the status of the Autonomous Republic, with 61 out of 64 MPs supporting the poll. 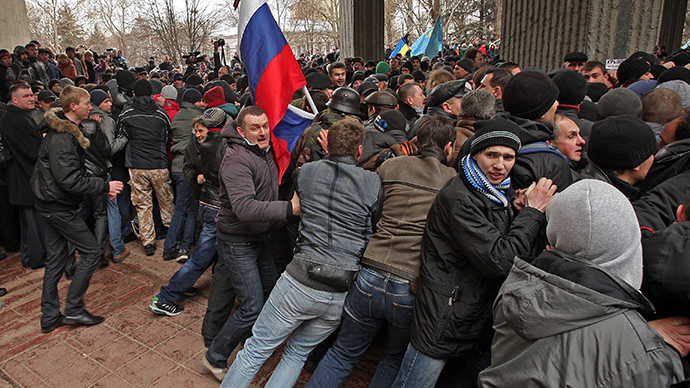 As a result of “the unconstitutional seizure of power in Ukraine by radical nationalists supported by armed gangs,” Crimea’s peace and order is “under threat,” said Oksana Korniychuk, the press secretary of the head of the parliament. 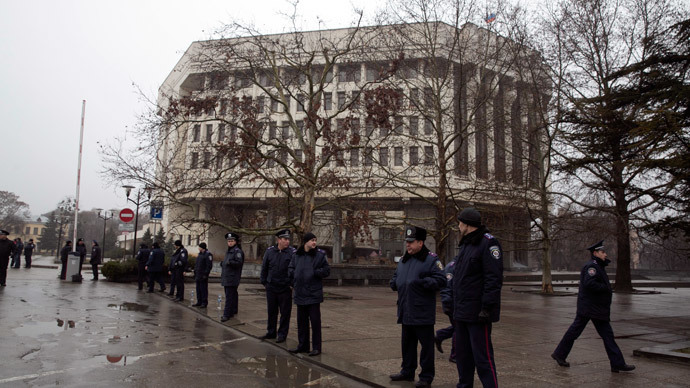 Korniychuk spoke hours after an unknown group of people barricaded themselves inside the building of the Crimean parliament and installed Russian flags there. The group, however, allowed MPs inside, including the speaker of the parliament, Vladimir Konstantinov. The MPs then held their sessions as planned. 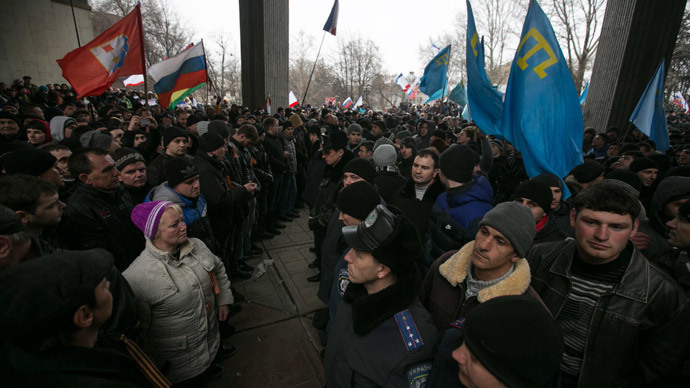 Later on Thursday, some 400 demonstrators announced an open-ended protest in front of the parliament building, demanding that a referendum on the status of Crimea be held. 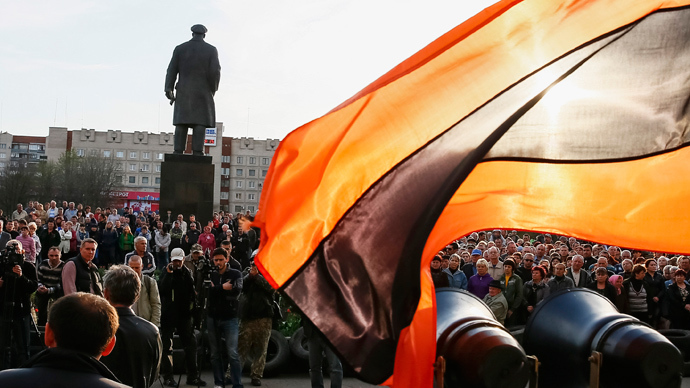 The referendum on May 25 will coincide with the early Ukrainian presidential and city mayoral elections.